Pre-licensure and post-licensure (RN to BSN) programs are offered. Students must meet immunization and other agency requirements (including criminal background checks) prior to the beginning of and continuing throughout nursing clinical courses. Drug screening is included in these requirements. Students admitted to nursing courses must a) hold current certification in BCLS healthcare provider course, b) submit annual TB skin test results, and c) carry their own health insurance coverage while in the nursing major. A health insurance form must reflect company and coverage and be on file in the nursing office. The baccalaureate degree in nursing at Avila University is accredited by the Commission on Collegiate Nursing Education, One Dupont Circle, NW, Suite 530, Washington DC 20036, (http://www.aacn.nche.edu/ccne-accreditation). The program has conditional approval by the Missouri State Board of Nursing. Complete nursing pre-requisites with a minimum grade of “C.” Postlicensure students are waived from Biology w/lab, Chemistry w/lab and Pathophysiology. Transfer prerequisite courses must be approved by the university and the School of Nursing. 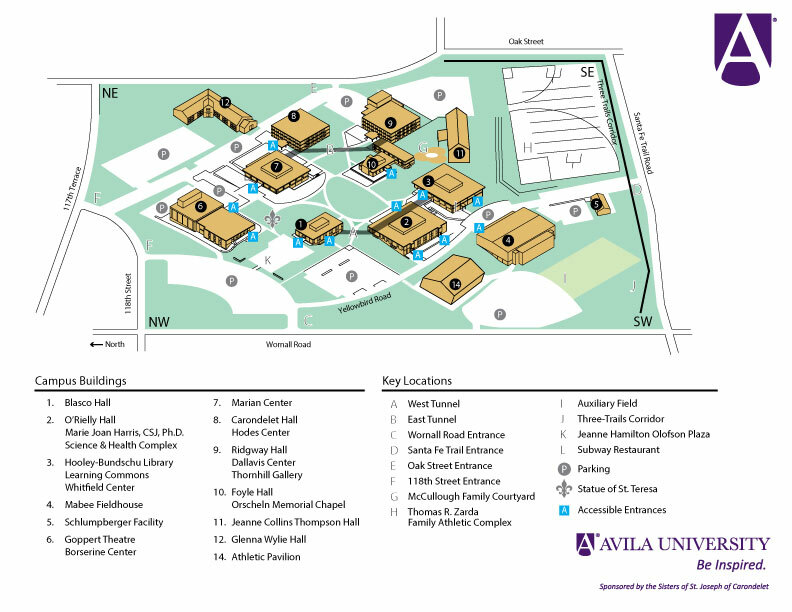 Student must complete the Avila Advantage admission process, including submission of official transcripts from all higher learning institutions attended. After admission to the University and completion of NU 456 Healthcare Informatics (3), students are evaluated for admission to the RN to BSN program by the Director of the RN to BSN Program. Students seeking an exception to the admission criteria must submit a letter of petition to the Director of the RN to BSN Program. The RN to BSN Admissions and Progression Committee will consider the individual circumstances and send a letter to the applicant documenting the final decision. Students admitted to the RN to BSN program will be assigned to a nursing advisor who will assist them with course enrollment throughout the program. Students may elect to complete a proficiency assessment NU 452 - Nursing Pharmacology (3) . (Students should be aware that some graduate-level schools may not accept courses that are transcripted only as “Credit”). Cumulative GPAs of applicants who have already earned an undergraduate degree in another field will be calculated on completed coursework that is required for the nursing major. A student will be dismissed from the nursing program after a second grade of “D” or “F” is earned in any nursing course and/or for breaches in professional conduct. A student who is dismissed or withdraws from the nursing program may apply for readmission to the nursing program. The student seeking readmission must meet the criteria for admission and graduation that are in effect at the time of readmission to the nursing major. The candidate for the Bachelor of Science in Nursing must complete at least 120 semester hours of academic work with a minimum cumulative grade point average of 2.0. The candidate must also complete all required assessements. As required for CCNE accreditation, practice experience is included in NU 491 for all students to bridge to baccalaureate-level professional nursing practice. This practice may include direct and/or indirect care experiences. Assessment activities occur throughout, at the end of the nursing curriculum, and post-graduation. Assessment early in the nursing curriculum can provide the faculty a baseline from which to evaluate curricular impact on outcomes. Formative assessments (conducted throughout the program) identify areas of strength and weakness and provide opportunities for focused student attention. Summative assessment activities completed by students may include such things as course assignments or surveys. Post-graduation outcome assessments help to evaluate such things as graduate satisfaction and success on the nursing licensure examination. Additional information on policies may be found in the Student Nursing Handbook available upon admission to the program. Students may submit a written petition with rationale to the School of Nursing for special exception to the above policies. The nursing faculty will have the right to accept or reject this petition. Students must provide their own transportation to clinical experiences when enrolled in nursing courses. A program fee will be charged for each semester of the nursing major.